Phobia, which coolant did you use? 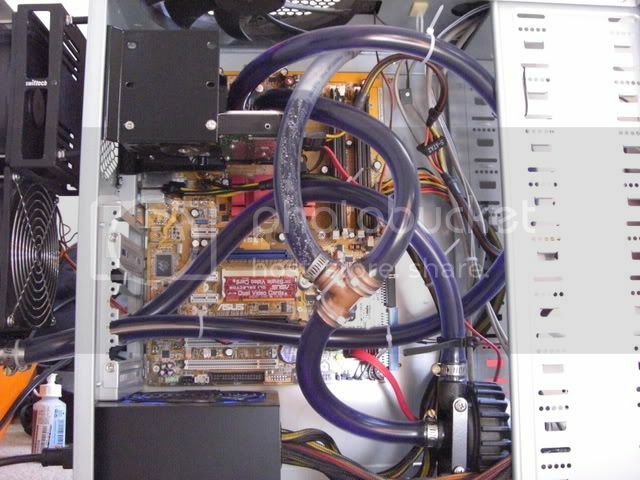 What a nice and clean rig nikitos, can you privde me your spec and watercooling spec, has well has your temp. other than the water block and fans, the water cooling parts I used are similiar to those in the Swiftech kits. Nice Phobes. Not easy to do with a mATX case! I just got my swiftech res today let me tell yea thats one sexxxy piece of gear lol its bigger then i thought it would be. And its nice looking at all these pics gives me ideas of mounting the res on my case. Glad to see all soo many people watercooling!!! Last edited by Dashock; July 2, 2008 at 02:22 AM.